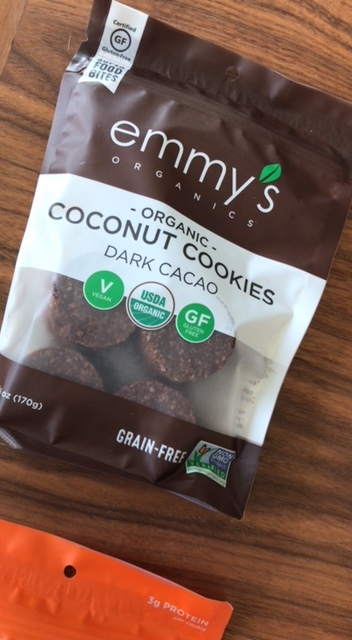 *Disclaimer: Emmy’s Organics sent me 4 packages of Emmy’s Organic Coconut Cookies for Review. All opinions expressed here are my own. 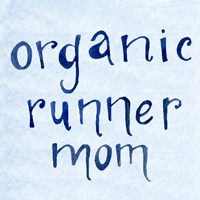 You know me, I am all about running all the time and I am also all about finding new Organic Foods to try and to share with you. Awhile back when I was searching in my local Natural Foods Store after a hard boot camp workout I was having a sweet tooth craving. 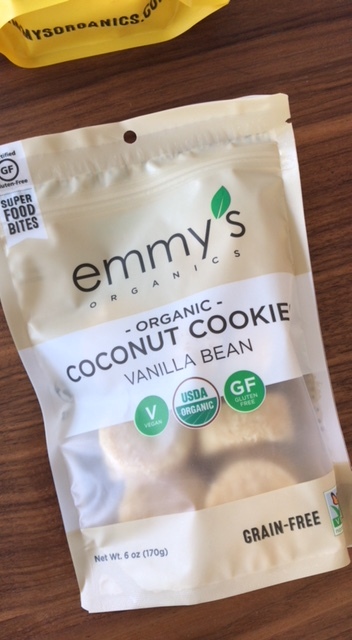 I usually only need a little something to satisfy the craving and spied small packages of something called Emmy’s Organic Coconut Cookies. The flavor that I first discovered were the Dark Cacao in a 2-pack. The perfect size to satisfy my craving. It was love at first bite. All I have to say is Coconut and Cacao. It was like a healthy version of my favorite candy bar, Mounds. You can’t go wrong with coconut and chocolate. These delectable bites are made with fair trade cocoa powder and cold pressed coconut. They are vegan, non-GMO, dairy free as well as Certified USDA Organic. They are made from only the best raw ingredients. 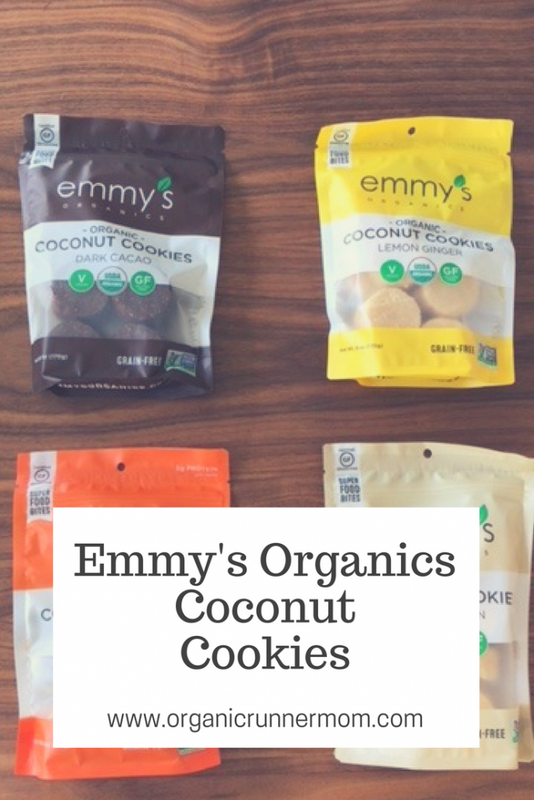 Recently Emmy’s Organics reached out and offered to send me some of their flavors of Emmy’s Organic Coconut Cookies to review. Of course I said yes! I had to try out some of the other flavors and wanted to find out more about the story behind these yummy bites. 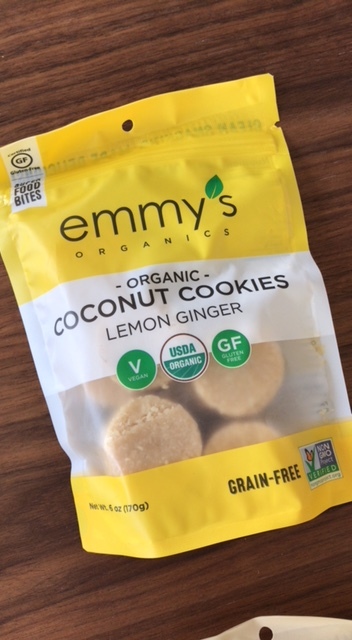 Emmy’s Organic Coconut Cookies were developed by Ian who is Gluten Free and Samantha with the name coming from Ian’s mom who shared her kitchen when they were working on developing the cookies to sell at local Farmer’s Markets. The cookies were an instant hit and so they worked together to bring their cookies to you in stores. Emmy’s Organics is now a B Corporation which means that in addition to being organic they also value giving back to their community, creating their products with sustainable practices and contributing to causes that matter. In addition to the Dark Cacao Cookies, Emmy’s Organics sent me Lemon Ginger, Peanut Butter, and Vanilla Bean. It is hard to pick a favorite. There are so many different delicious grain free flavors to try it is hard to choose. My kids love having Emmy’s Organics as snacks in their lunch boxes too. This is also a great sweet treat to throw into the picnic basket for those summer picnic evenings or in your pack for a camping trip. 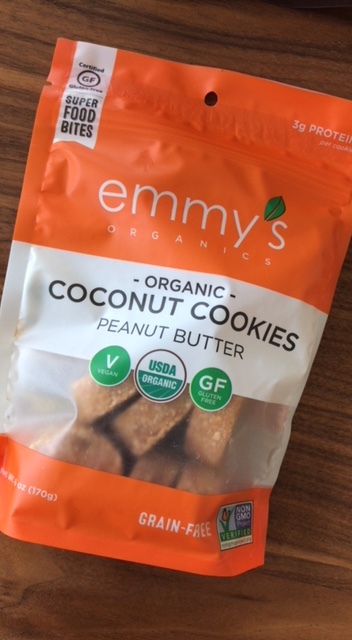 Which flavor of Emmy’s Organic Coconut Cookies would you want to try?